Marvel’s upcoming Luke Cage series has pulled yet another villain from the longboxes for Mike Colter to battle against. 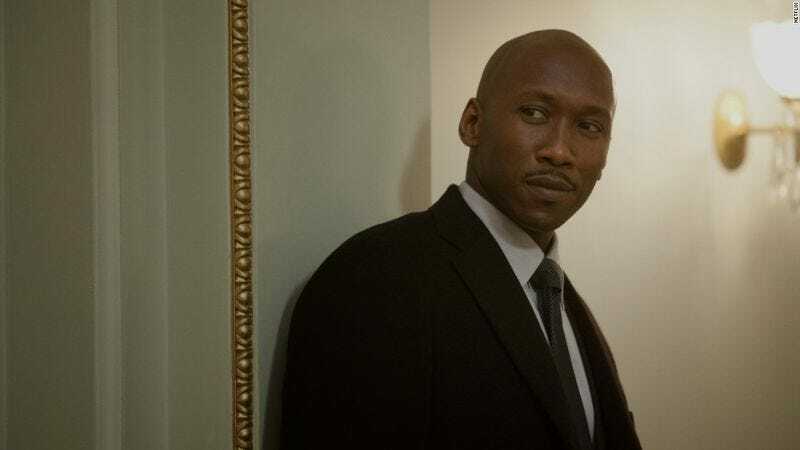 The Hollywood Reporter has revealed that Hunger Games and House Of Cards performer Mahershala Ali has been cast as sinister nightclub owner Cottonmouth for the Netflix series, the third in the planned four-part deal between Marvel and the streaming service. Cottonmouth—one of two villains running around the Marvel universe with that name, because, as Boomslang and Coachwhip can attest, there’s nothing Marvel loves more than a slithery, fangy bad guy—is a drug dealer and pimp whose comic incarnation attempted to recruit Luke Cage to work as his enforcer. (Fingers crossed that the series adopts this plotline, if only because Cottonmouth’s calling card is sending potential employees a box of snakes for them to fight, and we want to see Mike Colter punch a snake.) Of course, there’s no telling how much of the character’s cartoonish trappings will make it the screen; this is the sub-branch of the Marvel Cinematic Universe that turned crazy-haired criminal mastermind The Owl into a (delightfully) tetchy accountant played by Bob Gunton, after all. Ali will join a rapidly expanding gallery of rogues for superpowered fugitive-turned-hero Cage to fight, including Theo Rossi as Shades, and Alfre Woodard as the crime boss Black Mariah. Ali’s previous roles include Julianne Moore’s sidekick Boggs in the recent Hunger Games films, and a recurring role as Remy on Netflix’s political drama, House Of Cards.